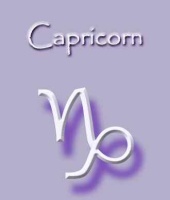 In general, Capricorn is supposed to be the sign of calmness, maturity and stability. Those born under this Zodiac sign are often sensible, secure and sensitive in their own space. They will never be the people who often make the mindless decisions. However, at the same time, they may take the well-calculated risks in order to achieve what they desire. There can be some minuses. 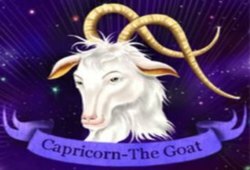 If you wish to know more about these Capricorn individuals, let’s take a close glance at some of their usual positive and negative traits now! Capricorn people are likely to possess an inner strength which may allow them to weather any huge storm coming to their way. Most of those born under this sign are wise by temperament. The truth is that Capricorns are merely realists, and will not dwell in any daydream. They will be always ready to face any fact, even if they are the hard and tough ones. It is not a big matter about what kind of great depth they need to swim down to once they do anything properly and have positive results. Naturally, Capricorns are known as the calm people, and will never do anything without knowing both aspects of the story. In public, they are always composed, and don’t put the toe out of line. Normally, Capricorn individuals are born as the workers; thus they have a tendency to keep seeking for something to do. Of course, they are seldom idle, and actually goal-oriented. Once keeping their eyes on anything, they will not stop till they get it. In reference to work, Capricorns are often in charge of people since they may exude the aura of authority ideal for managing any daunting task and ensuring that everything will be organized and done as the way it needs to be done. Our Capricorn friends prefer to project indifference for several reasons. Nevertheless, the prime reason here is that they are afraid of getting hurt. Hence, we can see them more cold and apathetic, rather than expressing their inner feelings unless they may make sure that they well receive the positive response. To be very ambitious, these Capricorn ones will not stop at everything to achieve what they want. In some cases, they may also be selfish in any choice or decision they make. They can select to do something out of the certain line without any care. 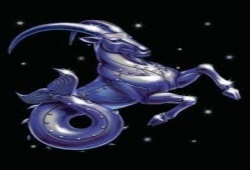 On regular basis, a person known as Capricorn is apt to approach anything with reserve; thus, this can make him look superior and aloof, even at times snobbish. He will be polite enough to get himself immerged in any conversation. However, at that time, he may make the move or even shun the act of making friend with someone who seems not to meet their standards and demands. Capricorns people, sometimes, are compared to peace and quiet. In case they find someone who is too raucous and wild for their tastes, then they will not be reluctant to make any effort to get close to these people. Why do they get these characteristics? In fact, this can be a cause that a Capricorn is attempting to protect himself from being hurt. It is better to see him as cold and harsh person, instead letting him show how he truly feels on the long run. Nonetheless, the lucky individual who may make the Capricorn person to open up can get great loyalty and undying affection from him. Contact us right away in case you yearn to know more information about this title “Capricorn Good And Bad Traits“, by fulfilling this available box with all of your burning inquiries.